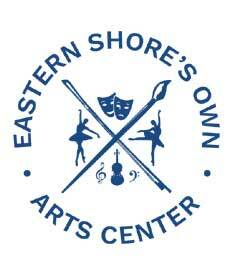 Governor Ralph Northam announced today that ESO Arts Center in Belle Haven, Virginia received $1255 from the Virginia Tourism Corporation Marketing Leverage Program grant fund. In total VTC awarded more than $840,000 for 56 tourism marketing projects across the state to help increase visitation and revenue for Virginia’s localities through tourism. The grants are designed to help local and regional tourism entities attract more visitors by leveraging local marketing dollars, and will ultimately impact at least 232 other statewide tourism entities. The local organizations match the state grant funds by a minimum of 2:1 in order to support marketing projects. This funding cycle, the local partners will match the VTC grant dollars with more than $3.1 million, providing more than $3.9 million in new marketing to increase visitation to Virginia. ESO Arts Center received a $1255 grant for its Craft Beer & Music Festival- weekend in Exmore, VA. ESO Arts Center partnered with The Town of Exmore and new restaurant Rancho Relaxo to supply $1255 in matching funds for the 6th Annual Craft Beer & Music Festival hosted by ESO Arts Center with the goal of extending the festival fundraiser into a weekend of exploring downtown Exmore, enjoying new restaurant Rancho Relaxo and experiencing all that Northampton and Accomack Counties have to offer. The VTC Marketing Leverage Program is designed to stimulate new tourism marketing through partnerships by leveraging limited marketing dollars, resulting in increased visitor spending. A minimum of three entities must partner financially to apply and may consist of Virginia towns, cities, counties, convention and visitors bureaus, chambers of commerce, other local or regional destination marketing organizations, private businesses, museums, attractions, cultural events, and other tourism-related entities.